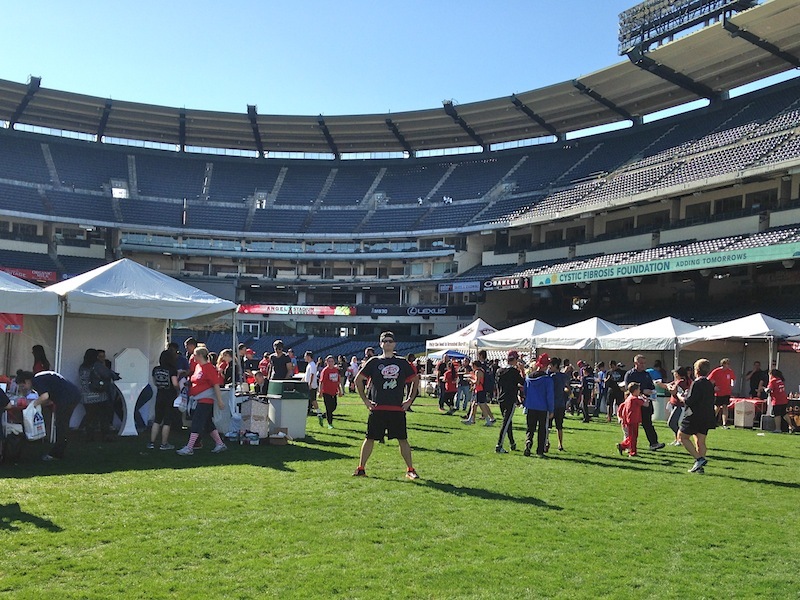 Race Recap: Hike the Halo 2014 | Keep It Up, David! Today’s lesson, ladies and gentlemen, is to never underestimate a race. That’s exactly what I did over the weekend, when I went to Anaheim to compete in the Cystic Fibrosis Foundation’s 3rd Annual Hike the Halo event. 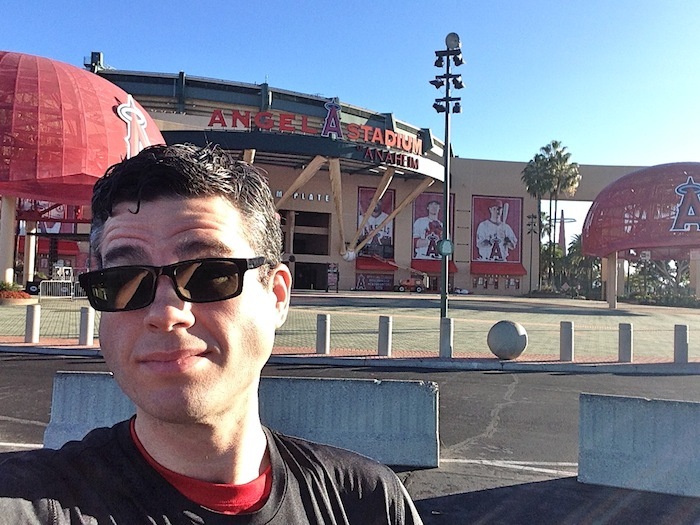 This race is a hybrid, with both stairs and running, and it’s held in an awesome venue: Angel Stadium. 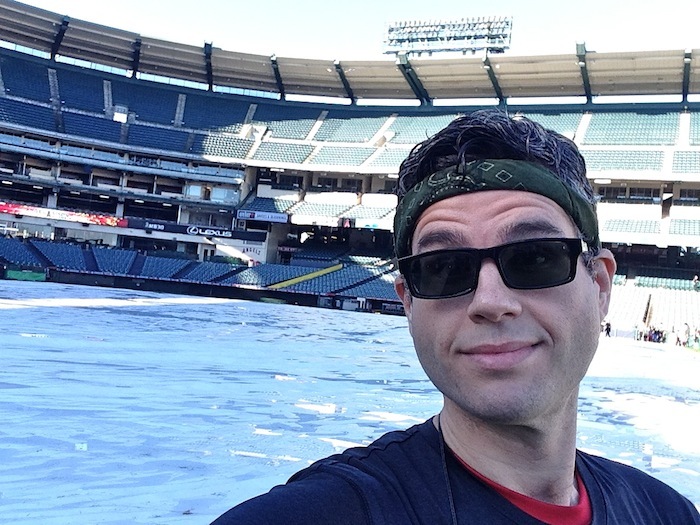 I’m not even a baseball fan, but it’s exhilarating to hang out in the outfield of a Major League Baseball stadium. Even though we had clear skies on race day, it had rained for two days prior, and the actual baseball diamond was under a tarp. From certain angles, it looked like a big frozen lake. 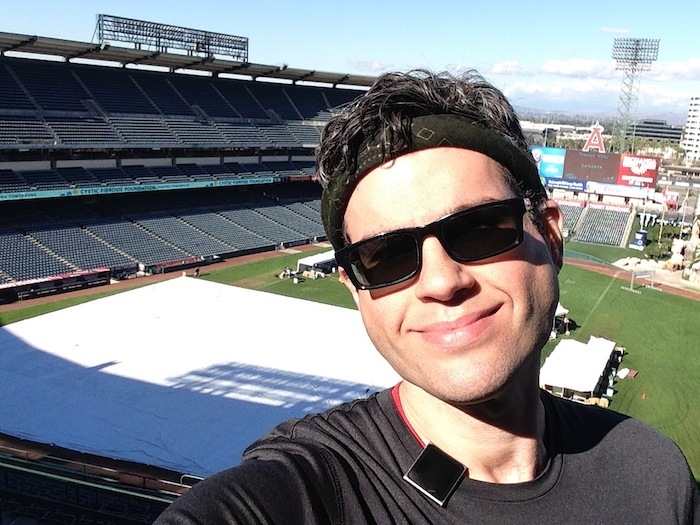 This was my second year doing Hike the Halo, which, in a nutshell, involves running up and down all the aisles in the lower deck and upper deck, and then running a lap around the exterior of the stadium. 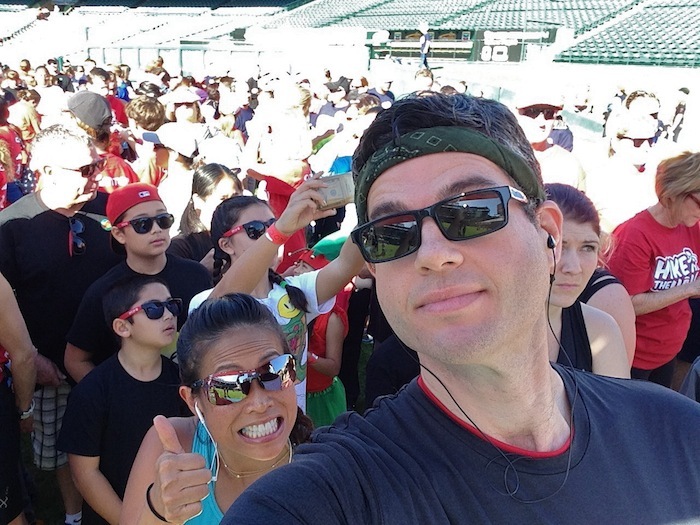 (My recap from last year, which is here, has a good course description and photos.) Last year, I was really nervous, because I had no idea what to expect. This year, I was prepared and ready, and even a little cocky. I had been telling myself that, compared to climbing a skyscraper, Hike the Halo was easy. Sure, there are a lot of stairs (over 2,000 in total, but that includes going both up and down). The stairs are interspersed with running, and that’s a good thing. Instead of climbing up hundreds at once, like in a skyscraper, you’re only climbing four or five dozen at a time, before running to the next aisle. They start people in waves, and I was in the first Halo Course wave. Ahead of us, though, were hundreds of people that were doing the Challenge Course, which has all the running and stairs, plus other elements, like burpees and squat jumps. 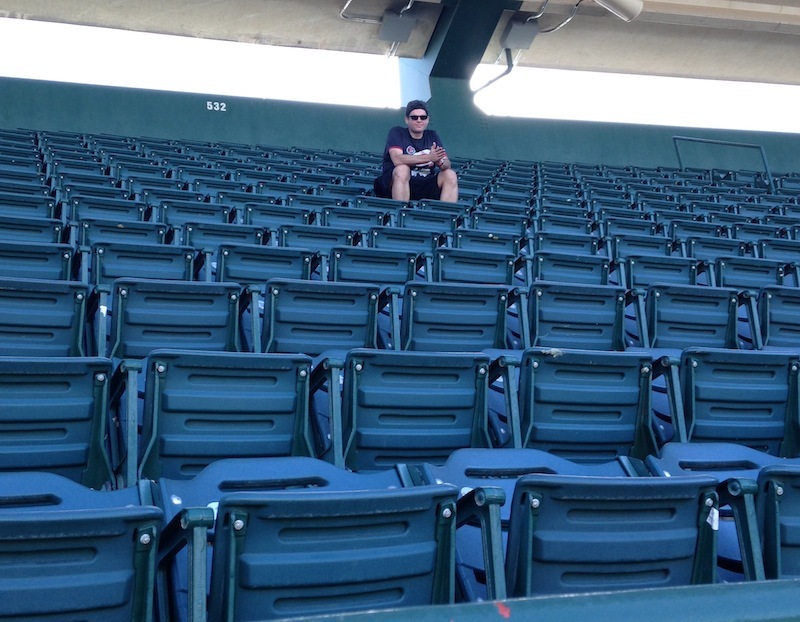 Our heat began, and a few dozen of us bolted across the outfield and towards the lower deck. The rain had left occasional puddles here and there, and at the top of the first aisle, I saw the girl in front of me lose her footing and start to slide through a puddle as she turned a corner. She didn’t fall, but it was a good reminder for me to watch where I was going. The lower deck has shallow, deep steps, and it’s the easiest part of the course. It wasn’t long before I had caught up with the back of the pack from the Challenge Course heats. 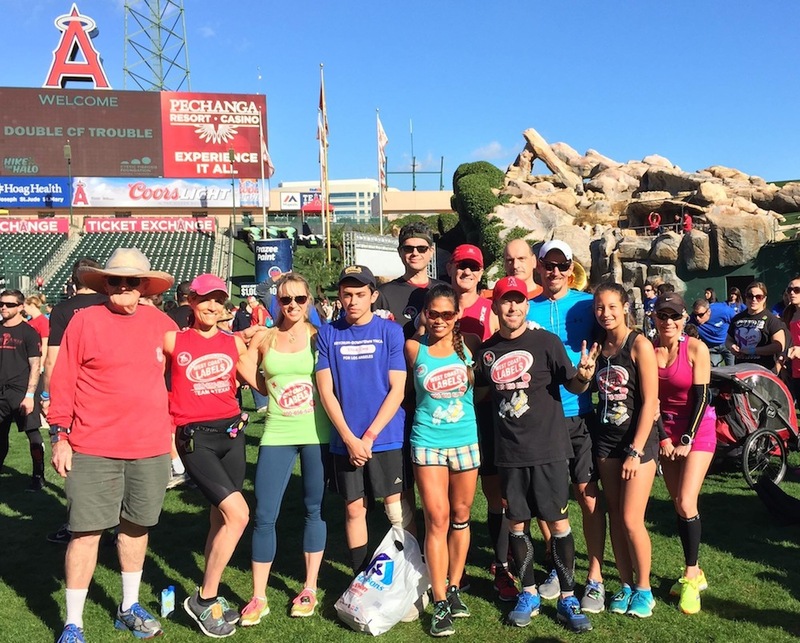 RELATED CONTENT: Check Out My Other Race Recaps! After the lower deck, you run out to the concourse and up a series of ramps to the upper deck, and here’s where I started remembering that this race was not easy at all. Those ramps are terrible. There’s four of them, one after another, and they’re long and steep and they drained my energy. There’s not much of a reprieve at the top, either, because the route heads right back into the stadium, and you start climbing the upper deck stairs. These stairs are probably three times steeper (at least) than the lower deck, and my legs were burning within seconds. Any thoughts I had about this being an easy race were long gone. This was a killer. The upper deck aisles have a handrail in the middle, so that was helpful. The route was much narrower, though, and passing was much more difficult. I found myself behind a slower group of people on a couple occasions, and I had to trail them for 50 or 100 feet before even having an opportunity to pass. I was about 2/3rd of the way around the upper deck when I felt an intense pain in my side. It was a terrible cramp. A hundred yards later, and it had spread across my back, to my other side. Then it merged with the general burn in my lungs that I get during stair events. My entire upper torso was throbbing. I focused on finishing the upper deck stairs – the final stairs on the course – and pushed through the pain as best I could. Racing in a stadium is a nice change of pace. I love that it’s outdoors, and I love being able to see most of the course at one time. …29:31! 49 seconds faster than last year! And I finished 9th among all men and 20th overall! …and there were a couple fun surprises. One was that a complete stranger came up to me and said he was a fan of my blog. He also thanked me for writing last year’s Race Recap, because I included much more information than was available on the event’s website! The other was that I got to see my friend Amy. I’ve known Amy for six or seven years, but I haven’t seen her since she moved to Santa Barbara a few years back. Her husband owns the company that handled the timing for the race, and she was working the event. 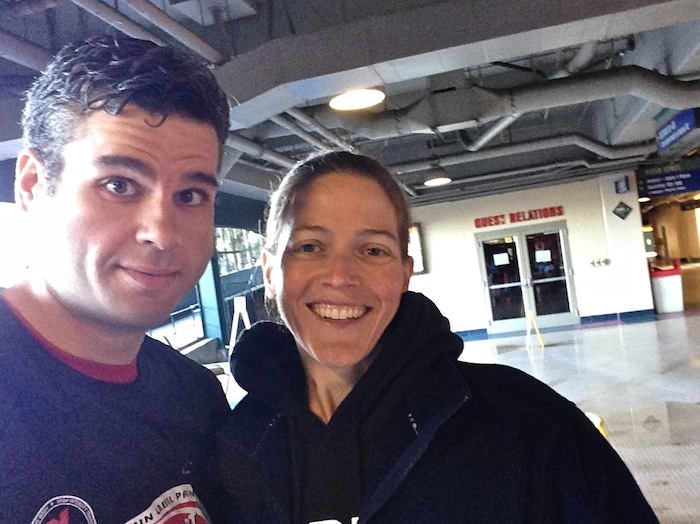 Amy runs marathons and does triathlons, and has always been super supportive. Amy was the person who, three years ago, first planted the seed in my head that I was an athlete, which was a word I had never ever used to describe myself. I revisited that conversation with Amy in my head over and over for months, and finally wrote about it, at the end of this 2012 blog post. How fitting that the first time I see her in years was at a race! I’m proud of how I did at Hike the Halo. It was my ninth and final race of 2014, and an excellent way to end the year. Next year, I’m going to remember what a beast this race is, and I’ll be ready. I already have my goal: to beat 29:31. PS: Big thank yous go out to Sandee, Joanne and Joe, who donated to the CFF on my behalf, so I could participate in Hike the Halo. Thank you so much! Follow me on Facebook, Twitter, and Google+. There’s also a “Sign Me Up” box at the top of the right-hand column on this page where you can subscribe to receive new posts via email! This entry was posted on Monday, December 15th, 2014 at 1:22 am and is filed under Uncategorized. You can follow any responses to this entry through the RSS 2.0 feed. You can leave a response, or trackback from your own site. Wow! Great job, David! Way to persevere through the temporary pain! I looked at the results, & WCL really cleaned house again! Jeff’s time was mind boggling! !